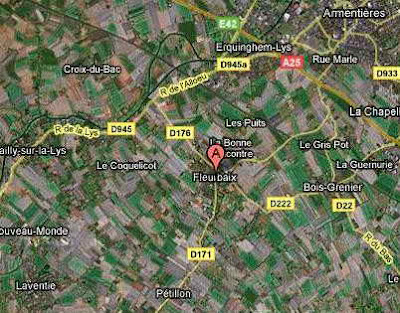 Fleurbaix and Laventie, France - combined population 57,819. Not exactly the big time, not exactly household names - yet. Why might that change? Because they are perhaps the only two towns in the world where childhood obesity rates are in fact dramatically declining. What's their secret? Special mineral springs? Treadmills instead of desks? A fast food ban? 10 hours of phys-ed a day? Education - lots of it, to many different players. In Fleurbaix and Laventie healthy living education began in 1992 and for 5 years schools were recruited to teach children about characteristics of foods and nutrients, healthy eating habits, food processing and food labelling in lessons that were implemented throughout the teaching syllabus (not just in gym or home economics). Teachers at the school were trained by dietitians. There was no focus placed at this time on physical activity. Impressively classes were augmented with cross-cutting initiatives including cooking classes, visits to farms, visits to supermarkets and dietitian monitored school based family breakfast programs. This first stage was meant to last for 5 years only but given the success of the program, it's still running today. The second stage began in 1997 and continued through 2002 and while it was meant to simply be an observational period, as the teaching from stage one became more pervasive, community involvement continued to grow. So much so that in 1999 two dietitians were employed to perform school interventions and also to present to town councils and other adult meetings. The town councils in turn started to support actions in favour of physical activity, built new sporting facilities, hired new sport educators, and created walking schoolbus programs while family activities started to focus on fitness and various local stakeholders (GPs, pharmacists, shopkeepers, sporting and cultural associations etc) set up further family activities that focused on healthy living. From 2002 through 2007 intervention entered the home whereby a free home based healthy living checkup was offered to 3,000 residents (a full 5% of the population). The visit included blood testing, a clinical exam and a questionnaire aimed at screening for unhealthy habits. Individuals thus identified to be at risk were offered family oriented advice delivered by a dietitian on healthy eating and physical activity and if necessary were referred to a GP for specific health issues (including childhood obesity). Over the 14 years of study the local media became involved and multiple newsletters and press releases supported the project. As a whole 212 articles appeared in local newspapers, 190 in the medical press, 208 in the national press and there were 25 television reports and 75 radio reports. In 2005 childhood obesity rates in the control towns (and much of the UK) had reached a staggering 17.8%. What Fleurbaix and Laventie did was what has been missing from every other public health intervention I've ever come across. They treated this as a disease of the environment, rather than a disease of the individual. Every public health professional interested in obesity should be encouraged to read this paper and study the interventions put forth in Fleurbaix and Laventie. We need to start pressing for similar changes yesterday.